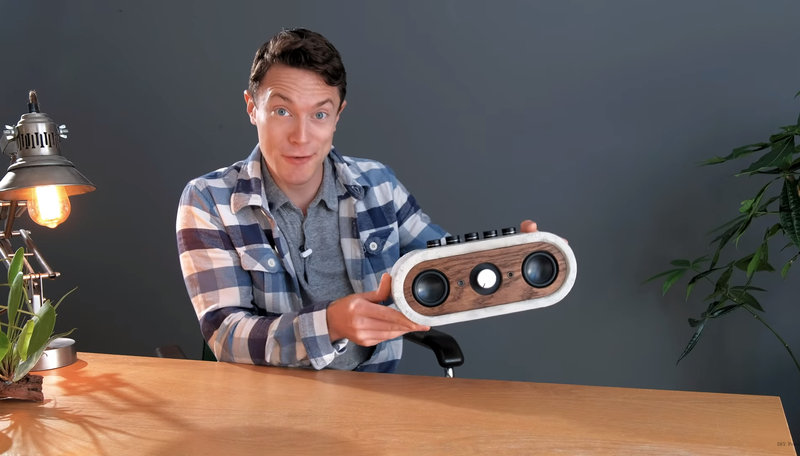 #4 Video: DIY audio project by famous YouTuber! YouTuber Matt from DIY Perks made an awesome DIY Bluetooth audio project with a contrete case and 2x Dayton ND65-8 drivers. Check it out! 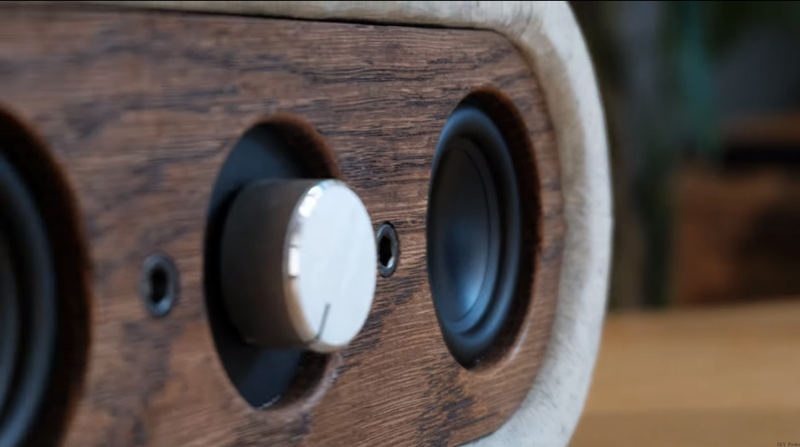 Last week, we were happily surprised about the fact that YouTuber Matt, from DIY Perks, posted an awesome DIY audio project with Dayton Audio woofers. The bluetooth speaker is made of a concrete case and a lovely wooden front resulted in a very smooth design. Matt also mentioned SoundImports as his supplier of the Dayton Audio ND65-8 drivers used in the video which helped the audio quality. Check out the DIY video below and tell us what you think! 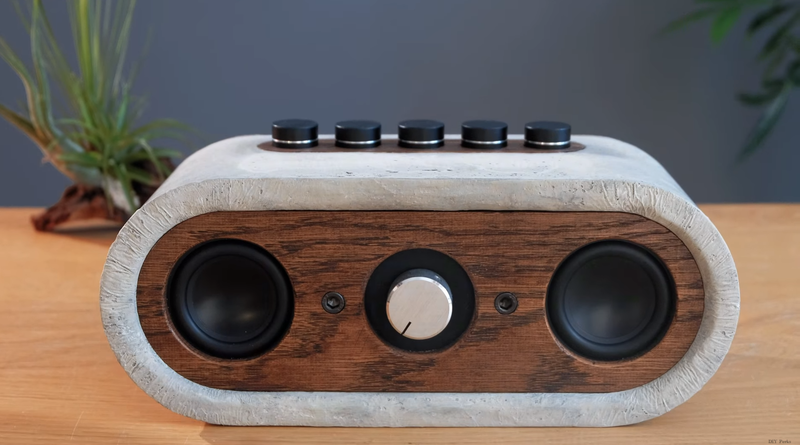 The beautiful character of this bluetooth speaker comes from the concrete case. An important attribute of concrete is that it resonates little to non. This also causes little cabinet colouration which can lift your speaker system to a higher level! If you are interested in making this design yourself, make sure you are able to handle a soldering device. Despite the fact this is a relatively easy DIY project, it does require a basic level of speaker building. The drivers used in this project are the Dayton Audio ND65-8. These are detailed speakers with lively high tones, which makes it perfect for acoustic music as jazz and folk. You can expect a more natural sound rather than a loud bass from these small woofers. The Dayton Audio ND65-8 is the perfect match for small bluetooth speakers as shown in the video. It is a full range woofer with amazing, surprisingly Xmax which produces a clear and detailed sound. The large Xmax of 3.5 mm enables the woofer to play very deep for its size. The two woofers combined easily reach a soundlevel of over 90 dB and +/- 100 Hz. The frequency table of the woofer is surprisingly linear on the whole spectrum. From 4 kHz the frequency table shows a less straight line till 8 kHz. This gives the woofer lively high tones and a detailed sound. Ony at 12 kHz this woofer is not able to handle the tones. 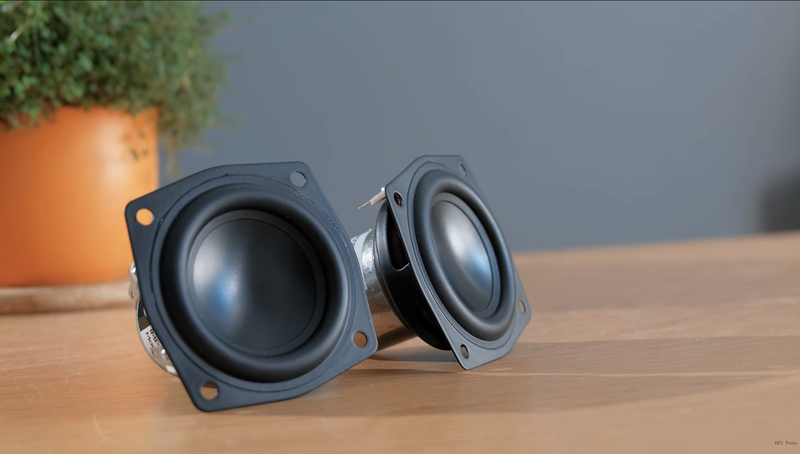 Hello sountimports where can i order this speaker?